Odyssey Sport Fishing Charters is a family-run and operated charter, based in Hout Bay, South Africa, that specialises in offshore or deep sea fishing. 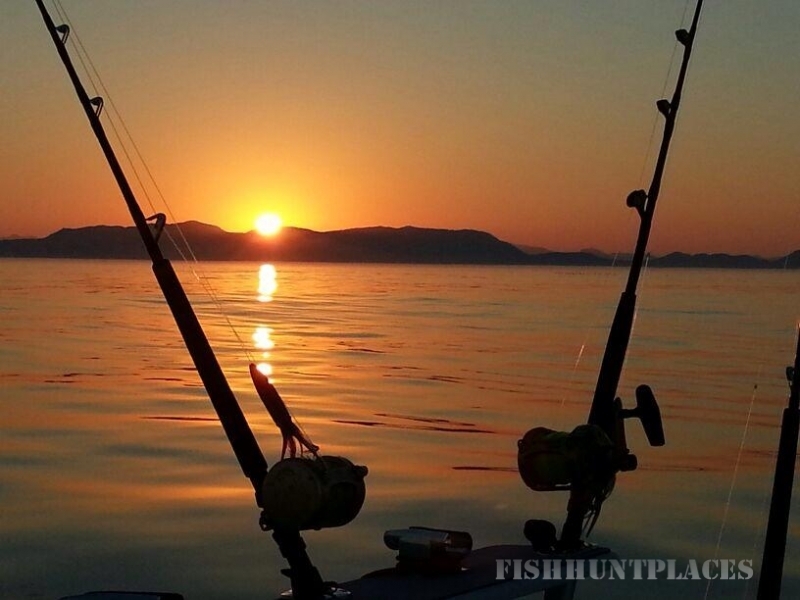 We fish the waters just off the coast of Cape Town, which is home to some of the best fishing on the planet. 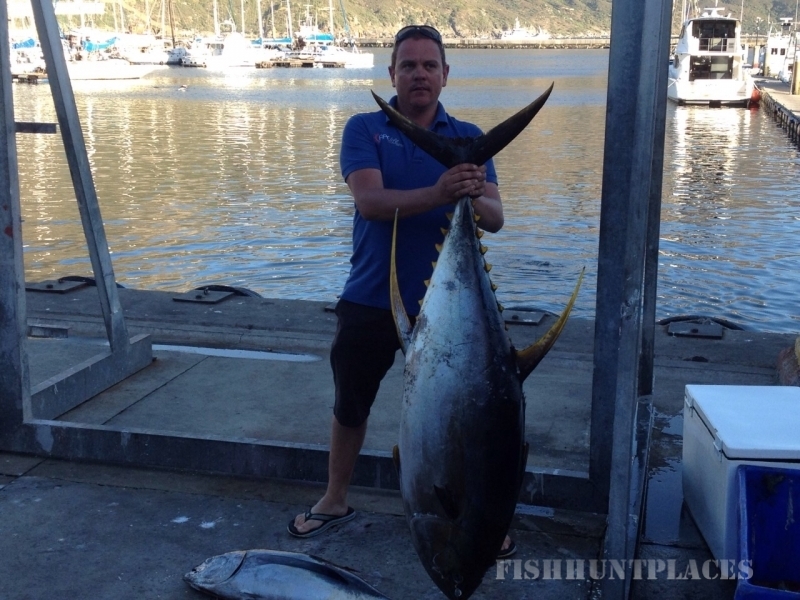 On our fishing charters we mainly target tuna – both yellowfin and longfin tuna (albacore) – with the yellowfin in our waters reaching spectacular weights of 100 kg plus (check out the fishing gallery here!). We do all our fishing and exploring on our lovely catamaran, Odyssey, which docks at Hout Bay Harbour. 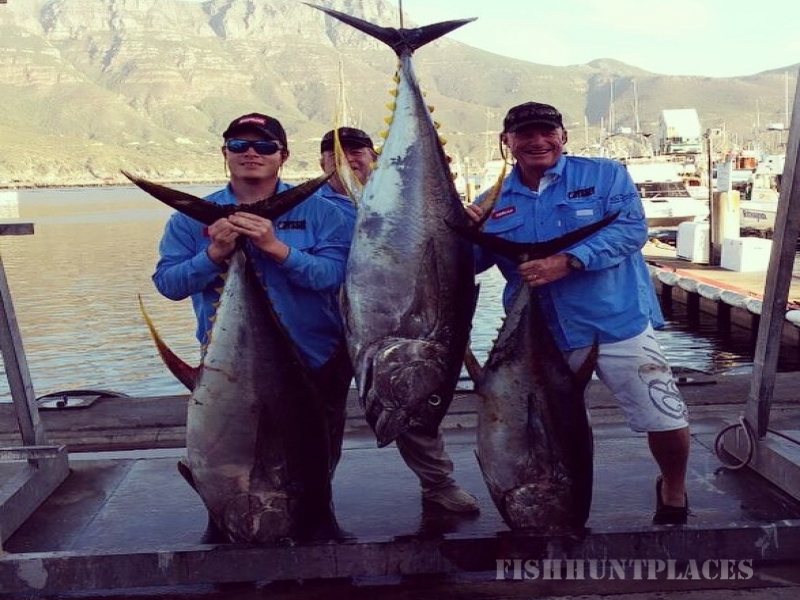 Join us for offshore fishing in Cape Town. 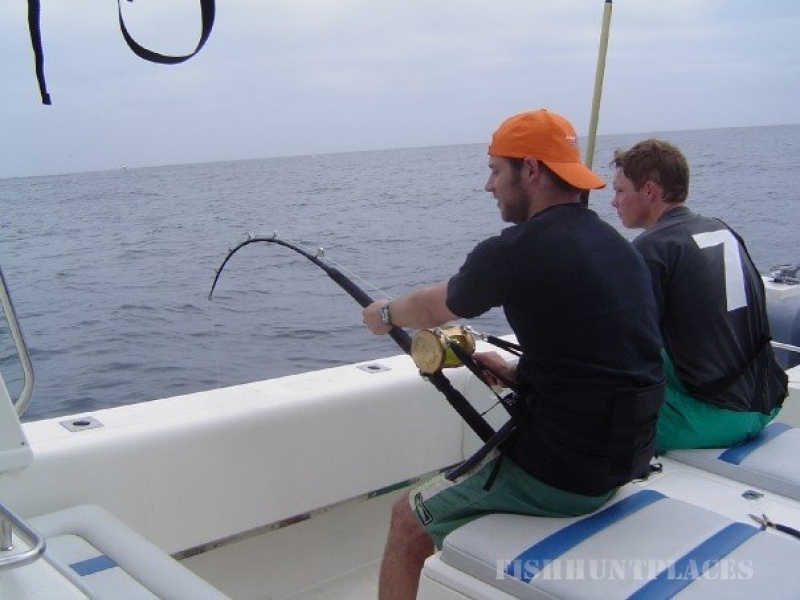 We offer excellent deep sea fishing: Tuna season runs for most of the year, with July to September being quieter, but because of fluctuating ocean temperatures and the tuna’s tempestuous temperament we can never exactly predict what the fish will do, so the season can vary from year to year. The uncertainty of what we might find adds an additional element of excitement! Apart from offshore and deep sea tuna fishing we are also spoilt with some great inshore fishing, with species such as yellowtail and snoek in abundance. The snoek keeps us occupied during the winter months. 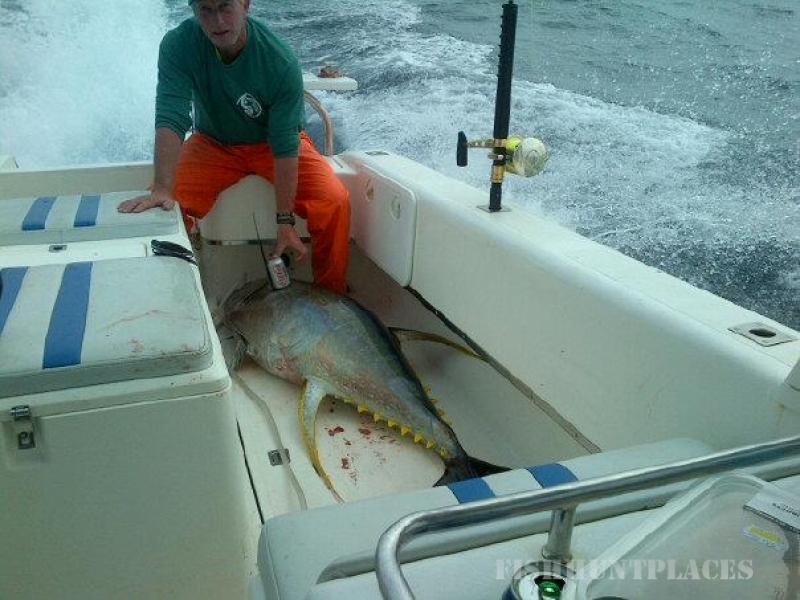 Browse our catch reports that detail our inshore and offshore fishing updates.